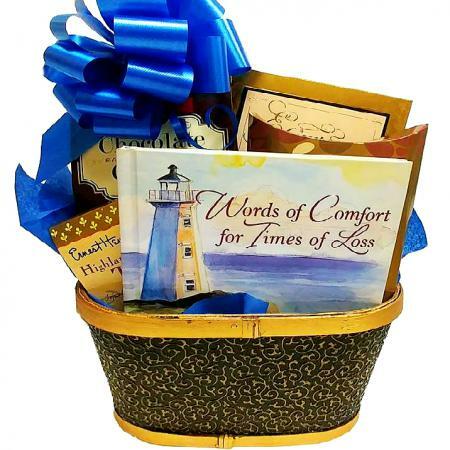 A beautiful, thoughtful comforting sympathy gift basket for those individuals coping with death and the grieving process. 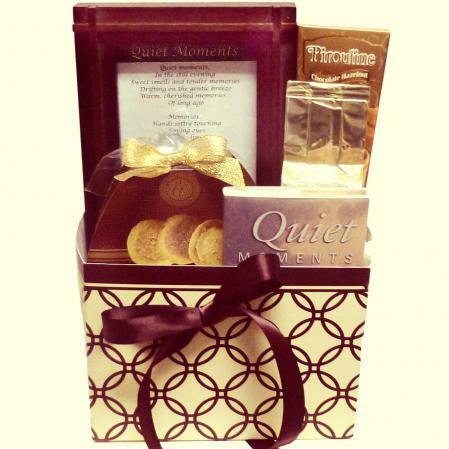 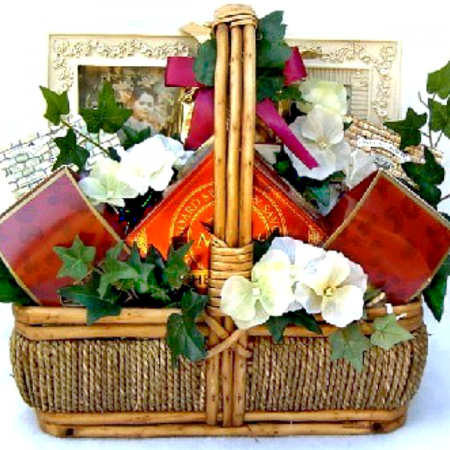 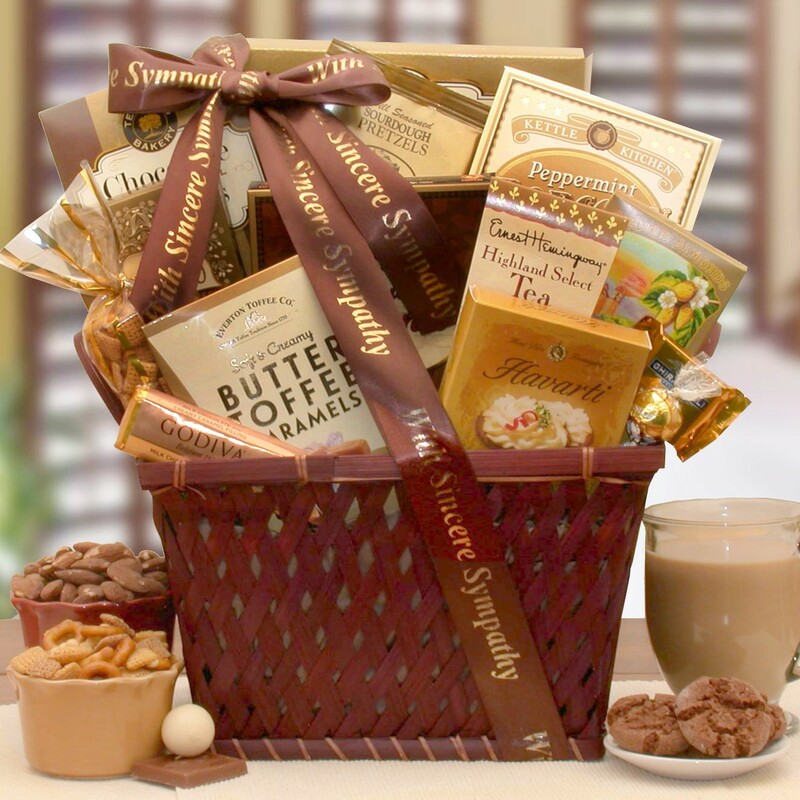 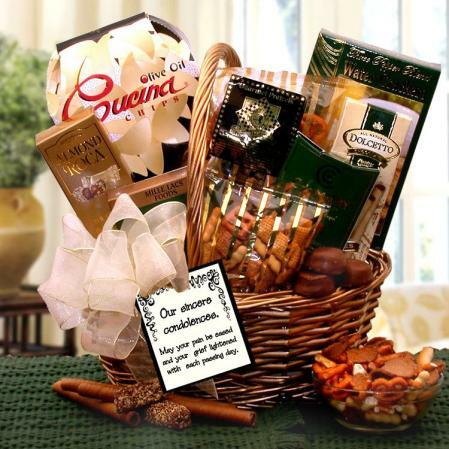 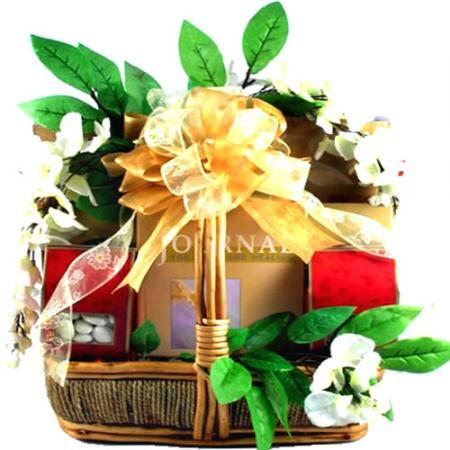 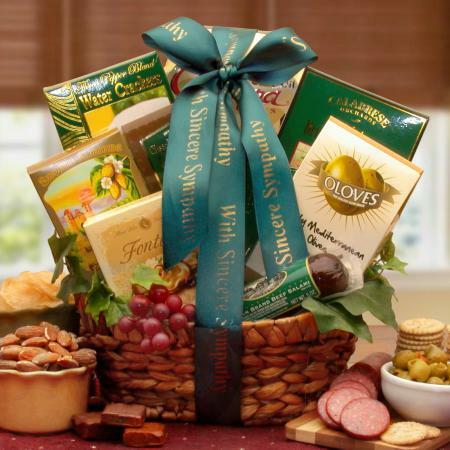 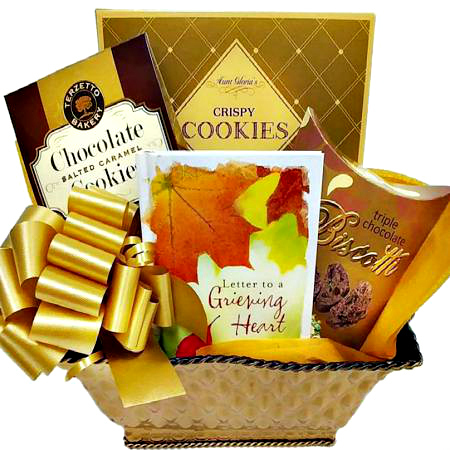 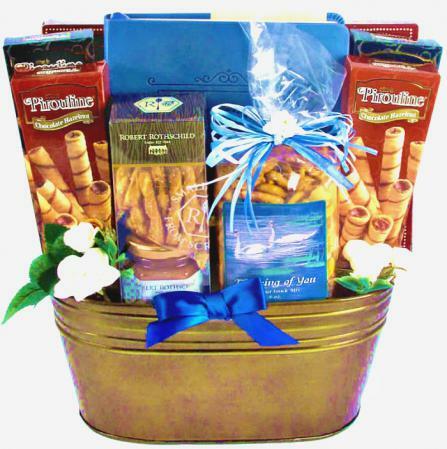 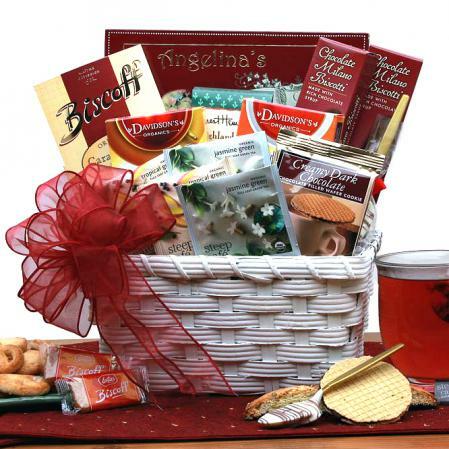 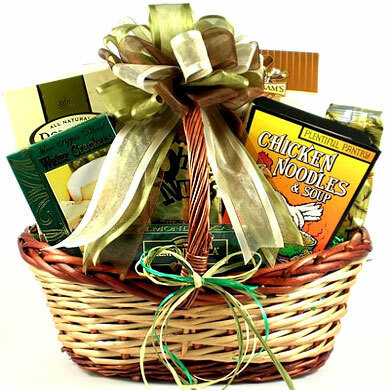 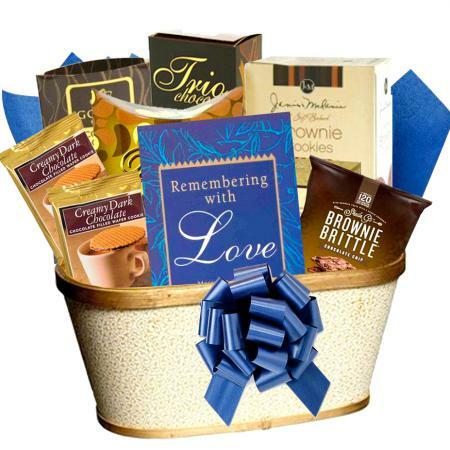 Send more than words of comfort with this beautiful, gourmet Our Prayers Sympathy Gift Basket. 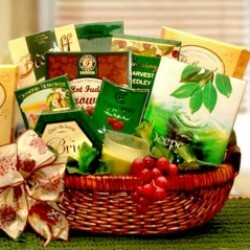 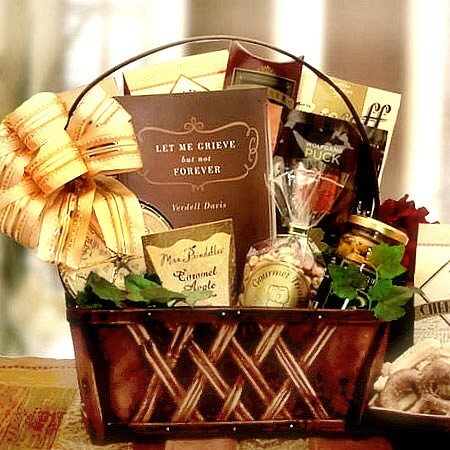 Designed to comfort, this sympathy gift basket is filled with sweet and savory treats plus your personal message card. 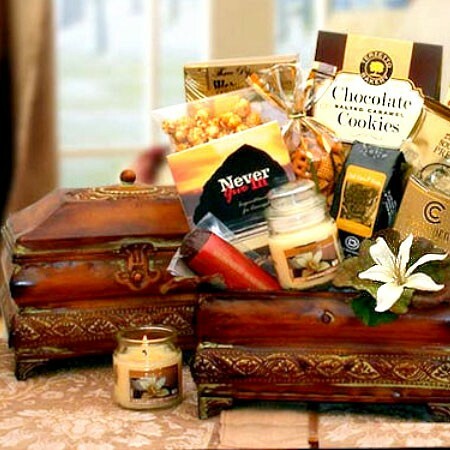 It's artfully arranged in a classic woodchip basket, wrapped in cellophane, and is topped by a custom sympathy sash and bow.